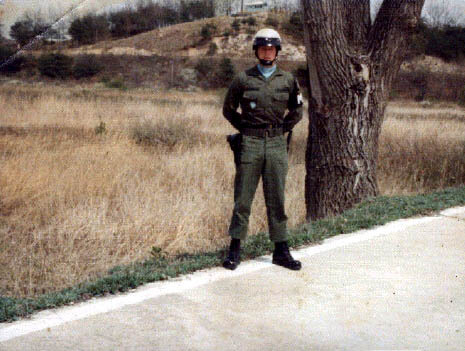 PFC "Robert Poorman" stands next to the tree that was the cause of two american officers being axed to death by north korean soldiers in 1976 The american team had been triming branches for better observation when the incident took place. U.S. Observation Post # 5 which had complained about the branches being in the way, is on the hill in the background.